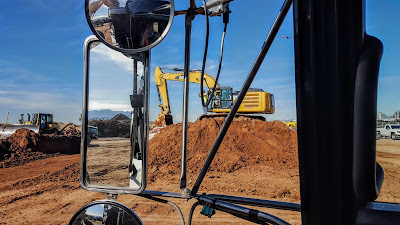 We've been busy two days hauling in dirt... finished up late yesterday afternoon, and I was finally able to get some pics. This year .... 'Monster Trucks' and 'Monster MotorCross' is being held at University of Phoenix Stadium, home of the Arizona Cardinals. 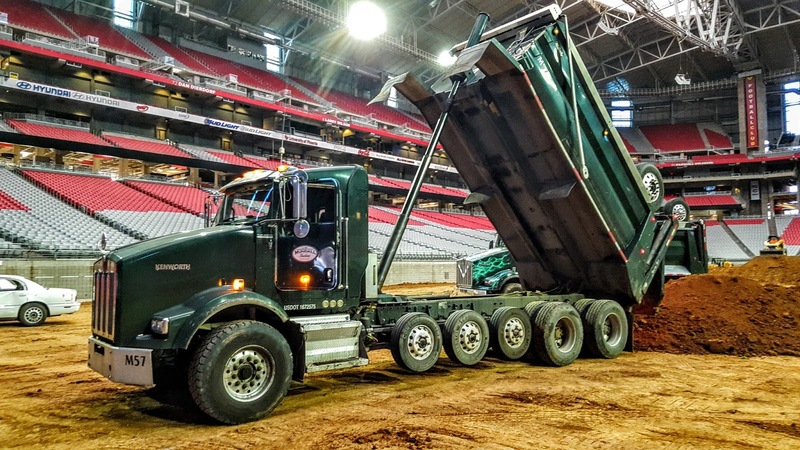 I was chosen to be on the dirt haul-in crew again this year, as I have been the previous two years when we were hauling dirt into Chase Field. So much easier to get in and out of the stadium versus into and out of Chase Field. 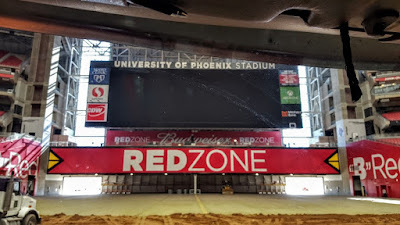 I'd never been inside of University of Phoenix Stadium and I was excited to be driving my truck in. First load in I was kind of disappointed. I really thought the stadium was bigger than it actually is. The field always seemed huge on TV. 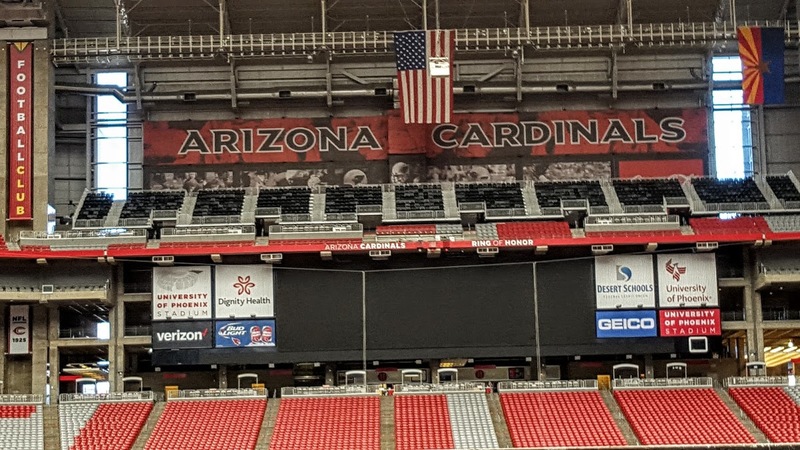 Though the seating goes way, way up almost to the roof. I'd definitely get a nosebleed up there in those seats. FYI, the field is automated, so it can be rolled in and out. The 'playing field' had already been rolled out in advance of our arrival. After a Google search by another driver, we discovered it takes approximately an hour and fifteen minutes to move the field in/out of the stadium. This track-hoe was just one of the pieces of equipment loading our trucks; also assisting in the loading was a front end loader, and of course I need to mention, a bulldozer and water truck. At the end of the day.... a shot of Mundall Trucking's 'show truck'. Great job, by all those involved! 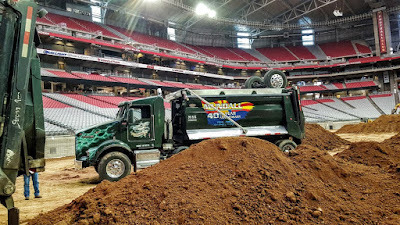 Late night, February 7th, the trucks will be back into the stadium to haul out the dirt after the show has finished.